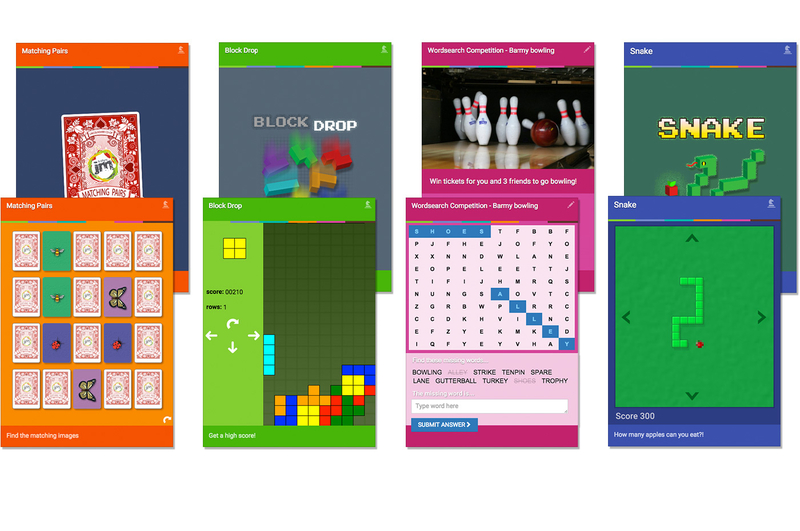 A colourful, interactive web experience for Lincolnshire Co-op Junior Members providing fun activities, events, games and much, much more. 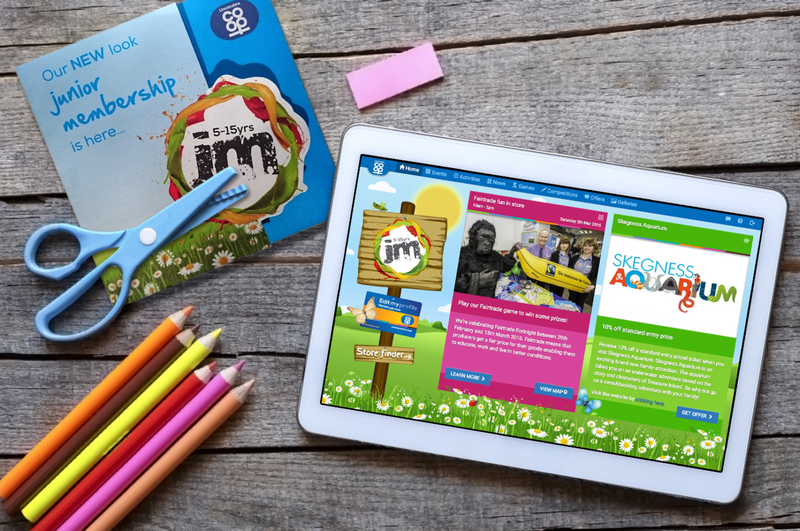 The Lincolnshire Co-op's Junior Member website is a online experience designed for 5-15 year olds. 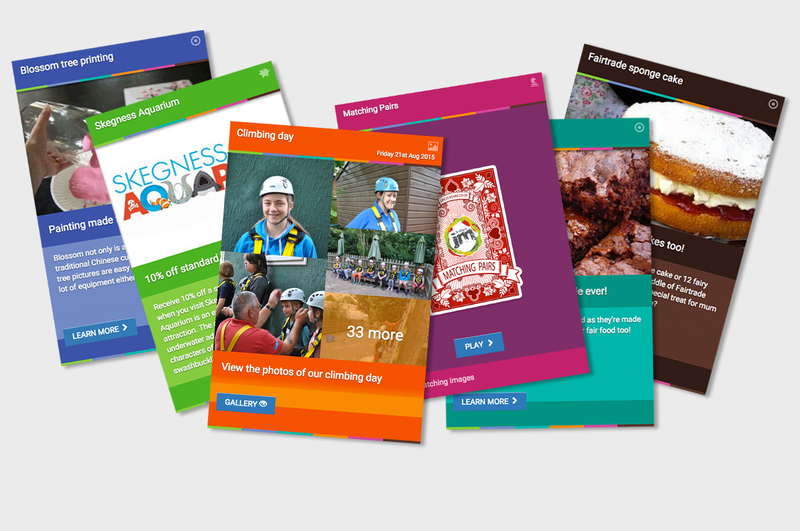 The website uses interactive panels and a quirky horizontally scrolling interface to deliver interactive panels, each with different type of content such as events, activities, competitions, news, games, offers and photo galleries. The website delivers a individual selection of panels based on criteria such as member location, age, date and a number of other factors to make a truely personalised and engaging visitor experience. We believe this personalised approach to content delivery helps create a website that members will want to return to again and again. Just as each visitor sees content based on a customised personal profile, the website also customises its experience based on screen size and platform. We've done a lot of work to make the unique horizontally scrolling interface work seemlessly across a wide range of screen sizes and devices, creating a truely engaging visitor experience. The website background changes along with the seasons including different visuals for day and night. In addition, we have developed seasonal themes for the run up to calendar events such as	Halloween, Easter and Christmas. These help to create an element of surprise and encourage visitors to explore the website interface for hidden treasures. In addition to the personalised content on the website, we developed a system that would create and deliver personalised emails to Junior Members. 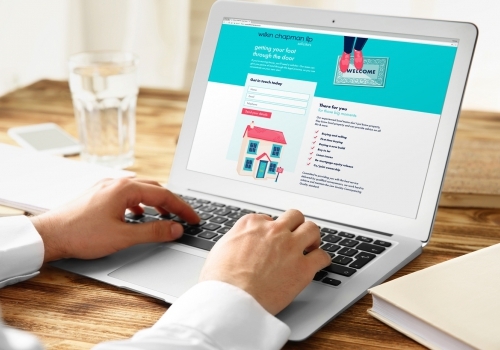 This system allows Lincolnshire Co-op staff to select members by age and generate personalised emails for them using the same panel based content as the website. 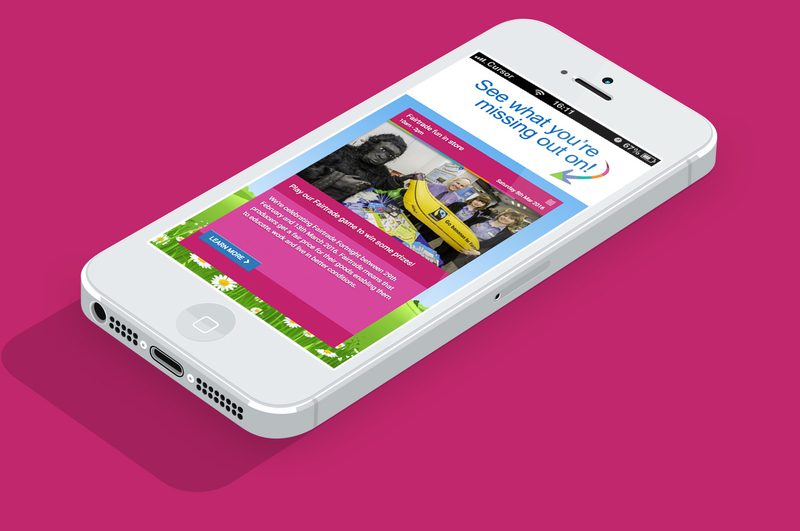 This unique personalised email system has played an important part in driving visitors to the website by delivering information about events, activities and offers available in the member's local area. In addition, we designed responsive email templates to make sure the personalised emails look great across desktop, web-based and mobile email programs. The games have proved popular with visitors, in particular the wordsearch which scrambles letters by itself so it can be played again and again. We're delighted with the new Junior's Member website and have had over 700 members sign up online since we launch. It's great that our Junior Members can now access their nearest events and offers online as well as personalised content based on their age and where they live. Head of Marketing and Membership. Lincolnshire Co-op. 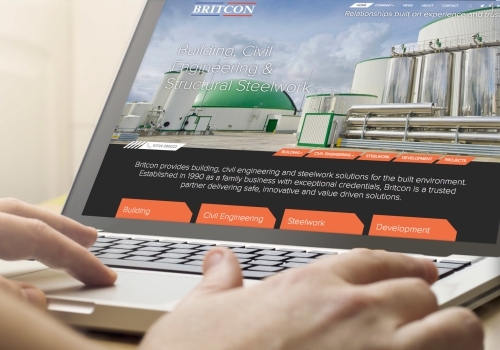 We have been working with a number of local businesses on offers for the site. The website, along with email, direct mail and till receipt messages is a great marketing asset for them to reach a new audience, and our members get discounts on family days out in the county. It's good all round for the local economy. Member Engagement Manager. Lincolnshire Co-op.